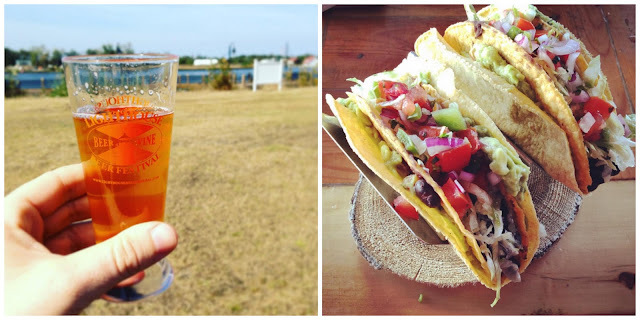 This past weekend was the annual Lighthouse Beer and Wine Festival. The name of this event is probably self-explanatory, but just in case: 200 or so craft breweries roll into Wilmington and set up booths in a giant field. Festival goers are then free to have their tiny glass refilled again, and again, and again, as they sample all the delicious ales, lagers, stouts, porters, ciders, and strange experimental hybrids. The festival lasts for five hours, which is a lot of time to stand outside drinking beer in the sunshine, but we persevered. 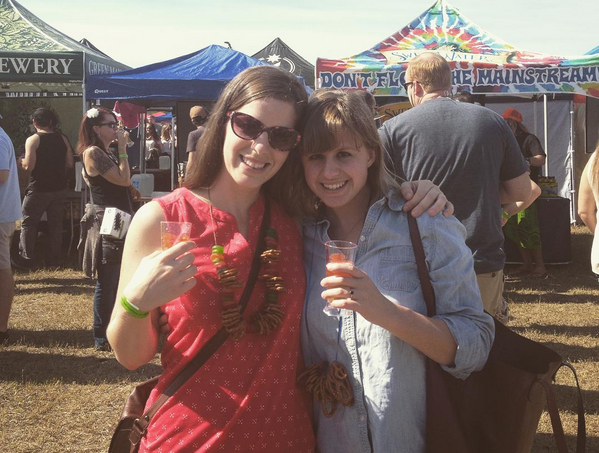 It was my second time attending the event, and thanks to a change in venue, perfect weather, and the addition of my dear friend Lucy, who was visiting Wilmington for the weekend and allowed us to drag her to beer fest even though she had to attend a wedding later that night, it was the best by far. Also we got to wear pretzel necklaces, which is an essential part of any beer fest attire. All in all, a pretty great Saturday. In addition to beer fest, we crashed book club, searched for sea glass on the beach, ate vegan tacos at Beer Barrio, stalked Lucy's future wedding venue, and had brunch. Weekend warriors, y'all. When I'm not entertaining friends, wearing pretzel necklaces, and drinking all the beer in existence, I've been productive in other areas of my life. Reading, writing, working, and even running. In fact, I'm training for a fall race. After a summer of half-hearted running, I decided to buckle down and set my sights on a goal. I have to warn you, it's a pretty serious goal. You see, there's pie at stake. 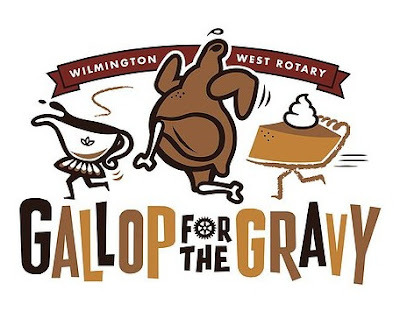 In case you can't tell, the race is a Thanksgiving Day 5K, and the top three finishers in each age group win a homemade pie. When it comes to races, I'm not terribly motivated. I like setting new PRs and reaching goals, sure, but I don't care much about beating anyone else. I'm generally racing against myself, which is convenient, as I am generally a middle-of-the-pack runner. That, of course, was before baked goods were at stake. I'm not afraid to admit that I desperately want to win a pie. To that end, I've been doing speed work (WHO AM I?!) and running three times a week. (All while keeping up with yoga and kettlebell, of course.) Maybe it's the pie, maybe it's the shorter distances, but suddenly I'm excited about running again. My training partner is doing a half marathon in a few weeks, and even though we run most of our races together I decided to skip this particular event. I hadn't been running regularly and I didn't want to pressure myself to race 13.1 miles when I knew my heart wasn't in it. I wanted to fall back in love with running, but I had to do it at my own pace. (Pun absolutely intended.) Now, thanks to an upcoming 5K and the possibility of pie, it's happening. Four weeks from now, that pie will be mine. In the meantime, here are two things you should read. The first is a short story by my pal Ben Hoffman, who is the best writer I know in real life, and better than 99% of the writers I don't know in real life. (Seriously, he's amazing.) The story is published in Granta and is called "Substitutes," and it's a creepy story that will unsettle you in the best way. But enough dreaming about trailers and missing children and pie; I have to drink a hundred cups of coffee and go to work. Here's to a good day, wherever you are.